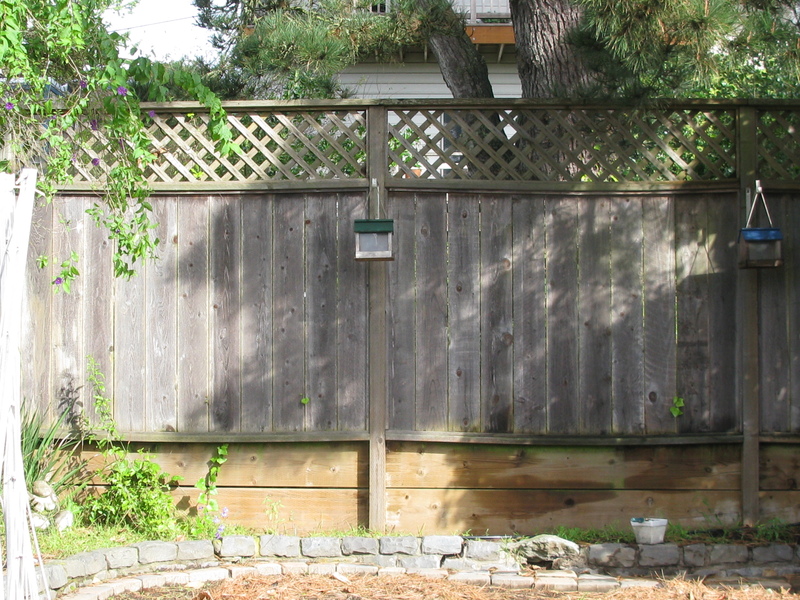 When the wooden fence in our backyard finally gave way and came crashing down I was relieved. I knew it was bound to happen sooner or later and now that it had, I could think about all the different options available to replace it. My first choice was no fence at all. In my mind, it’s a huge waste of money and resources to replace a wooden fence with another wooden fence that inevitably falls apart because of the water and moisture that destroys wood. I imagined our yard and our neighbor’s yard becoming one long, common space were we could share a garden and kids could play but if that idea was too radical, my second choice would be a low brick wall that would serve a dual purpose of providing seating and a opportunity to get to know our backyard neighbors. My husband and I bought our home in 1996. At the time, the fence was protected by an old Poplar tree that rose up thick and heavy from the ground a few feet in front of the fence. We were told by the sellers that they had gotten married beneath that tree. Jon and I were married in the backyard of the house we were renting at the time so buying this new house, where a marriage had taken place, made the house even more special to us. The problem was, the Poplar tree was dying and it rained sticky sheaths that kept would become lodged in our dog’s paws and get infected. It also created a lot of unnecessary shade on the rare days when a warm sun was shinning. So, we decided the tree had to go. It was no easy task for the team of arborists we hired to scale the 30’+ tree with their chain saws and safety straps to dismantle this old and fragile tree. Each freshly cut limb was hauled out to the street where it was fed into a machine that chewed up the bark and spat it out as mulch into a waiting dump truck. My next door neighbor, whom I had never met before, came up to me and introduced himself. 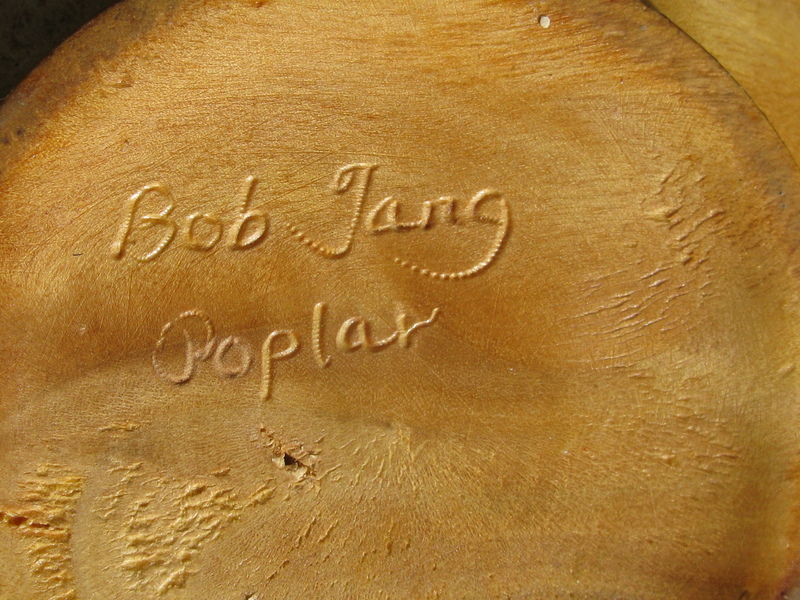 His name was, Bob, he said his hobby was crafting wooden bowls and he asked me if he could have some of the cutting. I was happy to let him have whatever he wanted. When the job was finished and the men and their saws had driven away, I discovered a crack in the fence. I didn’t know for sure if it was caused by the tree removal or if it had always been there but over time, that crack grew bigger and with the help from the wall of ivy pushing on the other side, it was only a matter of time before it relented to the pull of gravity. Now it was time to meet my neighbors. Never having met them before, I walked over to their house and left them a note in their mailbox asking them to please call me to discuss the fence. Rather than calling, the next time I was in the yard, my neighbor, Pat, appeared and introduced herself. She was a very pleasant woman who loved children and I just happened to have two. We chatted and I told her about my idea of not replacing the wooden fence at all or perhaps constructing a low brick wall so we could get to know one another better. Pat seemed unenthusiastic about both of my ideas and told me her husband would handle it. Pat’s husband was a strong, opinionated man who believed in doing things the way they’ve always been done. He didn’t like change and he wanted the fence put back just the way it had be done before. I think if this series of events were to happen to me today, I would probably handle it differently. I would make a stronger case for my ideas and maybe push them more but as it happened, I just had too much else to think about so the fence went back up without a gate and I’ve never seen or talked to Pat again. I call the new fence our Berlin wall. Two years after the new fence was installed, Bob knocked on my door. 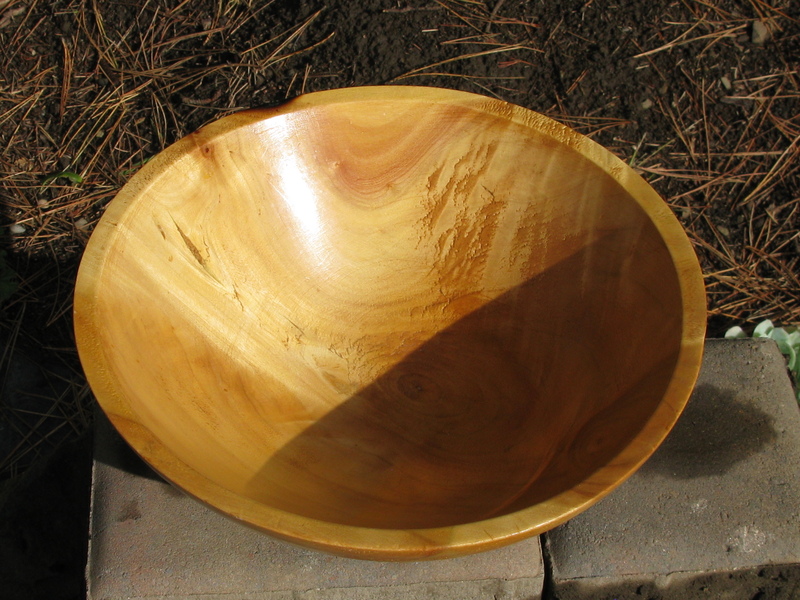 In his hand was a beautiful wooden salad bowl which he gave to me as a gift for all the wood I let him have. 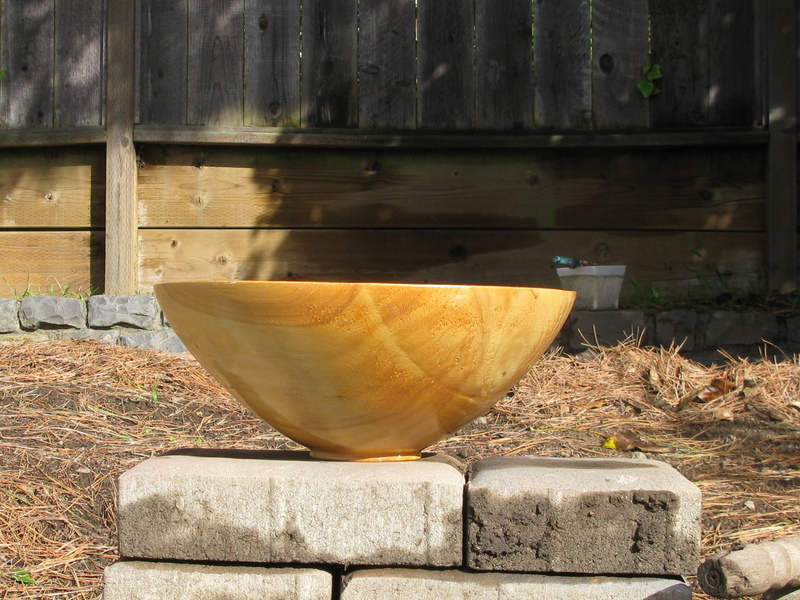 I love the bowl and cherish the memory of that old Poplar tree every time I fill it with fresh salad fixings. Bob moved to Hawaii so I’m not in touch with him anymore but the fence is still standing and one day it will come down again and when it does, I’ll look forward to talking to Pat again. This entry was posted in Uncategorized and tagged chain saws, Design, fences, nature, neighbors, san francisco, wooden bowls, wooden fence. Bookmark the permalink.